High population growth, increasing living standards and rapid industrial growth has led to tremendous energy demand in the Palestinian Territories in recent years. The energy situation in Palestine is highly different compared to other countries in the Middle East due to non-availability of natural resource, financial crunch and unstable political condition. Palestine is heavily dependent on Israel for meeting its energy requirements. Almost all petroleum products are imported through Israeli companies. Israel controls energy imports into Palestine and thus prevents open trade in electricity and petroleum products between Palestine and other countries. Energy is increasingly becoming unaffordable for people living in Palestinian areas due to rampant poverty and widespread unemployment. Ironically, fuel and energy costs for Palestinians are one of the highest in the region. The Palestinian power sector is entirely dependent on imported power supply, 88% from the Israel and 3% from Jordan and Egypt. 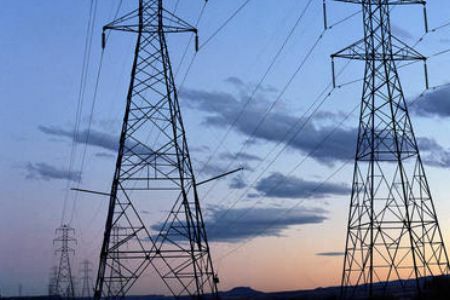 Egypt supplies merely 17MW of electrical power to the Gaza Strip while 20MW is supplied to Jericho by Jordan’s state-utility firm. Exploitation of renewable energy resources is required at a mass-level so as to ensure a cheap and sustainable source of energy to the Palestinians. The major renewable energy resources in Palestine are solar, geothermal and biomass. The Palestinian Energy Authority is currently in the process of launching the bid for solar and wind energy resource mapping and geospatial analysis. At the end of 2012, renewable energy contributed merely 1.4% in the energy mix, though Palestine is targetting 10% clean energy installed capacity by the year 2020. There is high potential for solar energy in the Palestine, with a daily average solar radiation of 5.4 kWh/m2 which should encourage its use for mass applications like cooking, industrial and domestic heating, water pumping, rural electrification, desalination etc. Although geothermal energy potential in Palestine has not been quantified yet, there has great deal of interest in geothermal energy due to the path-breaking efforts of Ramallah-based MENA Geothermal. Being an agricultural society, Palestine has appreciable amount of animal manure, crop wastes and solid wastes which can be utilized for generation of biomass energy. Solar energy can be a major contributor to the future Palestinian energy supply, with its high potential in the area. Palestine receives about 3,000 hours of sunshine per year and has an average solar radiation of 5.4 kWh/m. Domestic solar water heating (SWH) is widely used in Palestine where almost 70% of houses and apartments have such systems. Infact, Palestine is one of the leading countries in the field of SWH for domestic purpose. SWH is made locally in the West Bank and Gaza Strip with a production rate of about 24,000 units per year which is considered to be sufficient for the Palestinian market. Solar thermal and photovoltaic systems are yet to take off in Palestinian areas due to high costs associated with such systems. The heating and cooling requirements of Palestinians can be met by judicious exploitation of geothermal energy, as shown as Ramallah-based MENA Geothermal. The company, founded by Palestinian entrepreneur Khaled Al Sabawi has put Palestine of global geothermal map by devising a simple but ingenious geothermal heating and cooling system. The company, founded in 2008, has made swift progress and has been instrumental in developing a wide range of commercial and residential projects in Palestine and Jordan. In summer, the temperature below the earth’s surface is lower than atmospheric temperatures, and in winter it is higher. MENA Geothermal capitalizes on this by burying pipes below ground. Water pumped through these pipes then capture the temperature to feed the building’s heating and cooling system. A geothermal system utilizes the energy from the sun, which is stored in the earth, to heat and cool homes and buildings. Typically, electric power is used only to operate the unit’s fan, compressor and pump. The geothermal system essentially uses the stable temperature of the ground at a specific depth for heating in winter and cooling in summer, providing clean energy and reducing energy costs. Biomass energy is predominantly used for heating purposes and constitutes approximately 15% of Palestinian energy supply. Being an agrarian economy, Palestine has a strong potential for biomass energy. There is good potential for biogas generation from animal manure, poultry litter and crop wastes. In addition, organic fraction of municipal solid wastes is also represents a good biomass resource in Palestine. The Gaza Strip alone produces more than 1300 tons of solid wastes. Palestine can reduce reliance on imported energy carriers by deployment of clean energy systems, especially solar, geothermal and biomass. Palestinian areas has large alternative energy potential which can be harnessed by a futuristic energy policy, large-scale investments and strategic assistance from neighbouring countries like Jordan and Egypt. Renewable energy can lay a strong foundation for an independent Palestinian state, generate employment opportunities, alleviate poverty and provide a visionary approach to the dreams of Palestinian youths. Mohammad Ziad Yamin is an Environmental Scientist with high interest in sustainability, renewable energy, waste management, water management and green buildings. He has been actively involved in various environmental projects, campaigns and seminars. He has developed a new sustainable irrigation system working by solar power. Tagged Biogas, Biomass Energy, clean energy, crop wastes, Electricity, Energy Sector in Palestine, Gaza, Geothermal Energy, Israel, MENA Geothermal, Palestine, Ramallah, Renewable Energy, Renewable Energy in Gaza, Renewable Energy in Palestine, Solar Energy, West Bank. Bookmark the permalink.